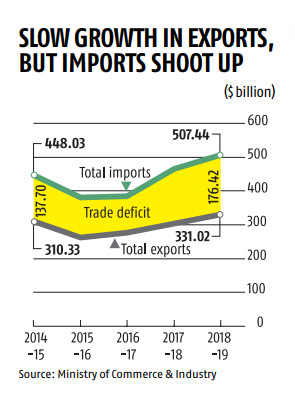 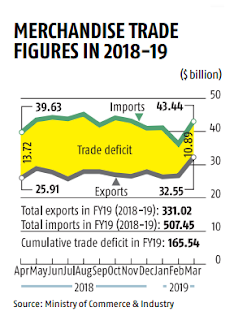 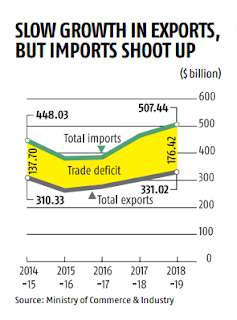 Despite single-digit growth, India’s exports hit a new high of $331 billion in the last financial year, but higher imports pushed up the trade deficit. In March, as 20 of the 30 major product segments saw higher shipments, exports expanded 11% to reach $32.5 billion, the highest in a month in recent years. 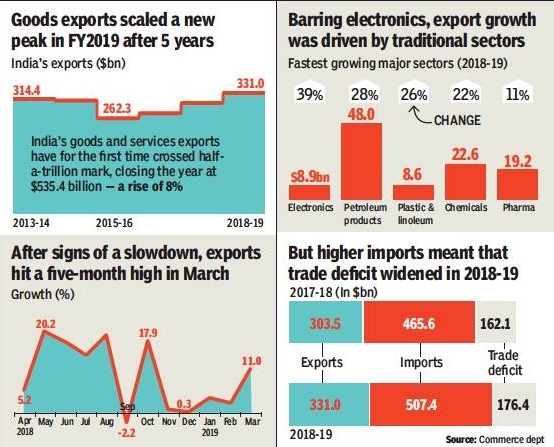 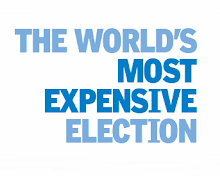 In fact, the growth in March was the fastest increase in five months, helping the government scale a new peak during the fifth year of its term. 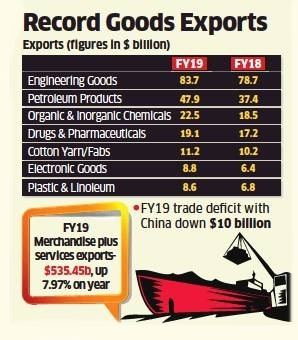 Exports are seen as a weak link in the economic growth story, with both BJP and the Congress pledging to focus on reviving exports. While exporters pointed to several policy-related difficulties — from credit flow to GST refunds — they seemed to be rejoicing for the moment.